I am beyond excited to be showing you the One Room Challenge Final Reveal of The Hallway Refresh. Honestly, I almost didn’t survive this 6-week design challenge. After a few breakdowns and some tears, I think I can finally laugh about it. Despite some ups and downs with the light fixture and not getting a product on time, we pulled through and I am SO happy with the final results! Originally I picked the hallway because the design process had already started in the rest of the rooms of the house. The hallway was neglected and kind of sad and dingy looking. When the One Room Challenge came back around I took it as my chance to force myself to fix up this space. I’m so glad I did because I think it is now my favorite area of the house. Is it weird if I just hang out in the stairwell? In case you missed any of my previous posts about the One Room Challenge, I put together a few before and after comparisons for quick reference. 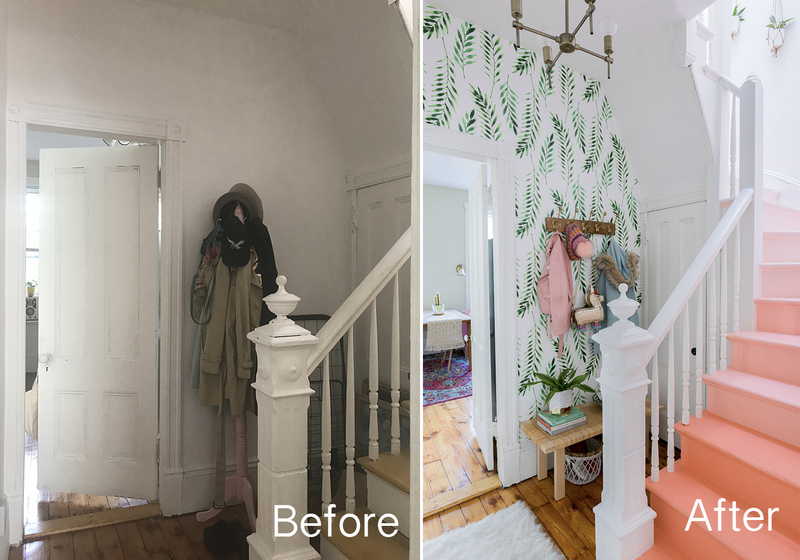 Taking a look at all the before photos is recommended to fully appreciate the results of the One Room Challenge Final Reveal of the Hallway Refresh. 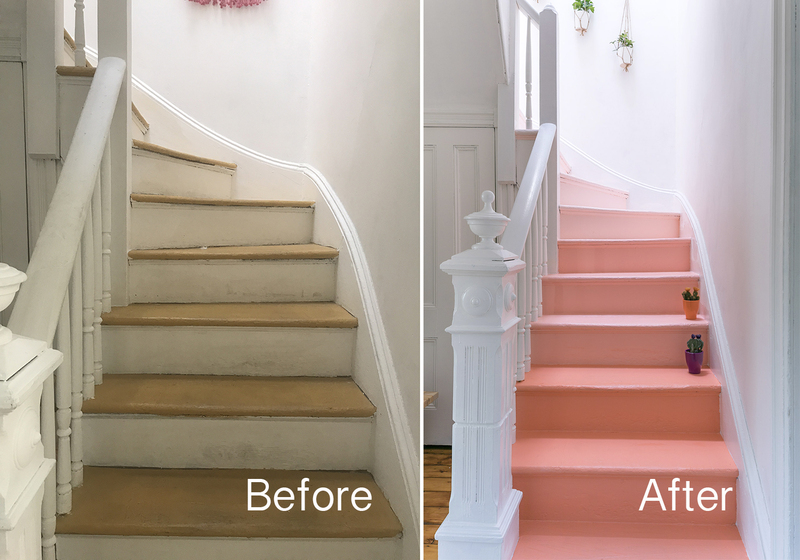 By far painting, the stairs is the biggest upgrade to this space. When we looked at the apartment the stairs and banister were actually brown, having never been renovated since probably the 1970s. When we moved in the banister was white and the stairs were painted a mustard yellow. This was definitely an improvement but the paint job wasn’t that great. I’m sure they were just rushing to get it done but the sight of it really bothered me. Now the stairs are so colorful and bright. The sun from the skylight reflects off of the stairs and brings a lot more light to the bottom hallway as well. Looking at the staircase instantly puts me in a better mood. How can you not be happy looking at a rainbow of pink? The other goal of redoing this space was to brighten up the bottom hallway. It is the only area in the whole house with no window, therefore, it is the darkest. 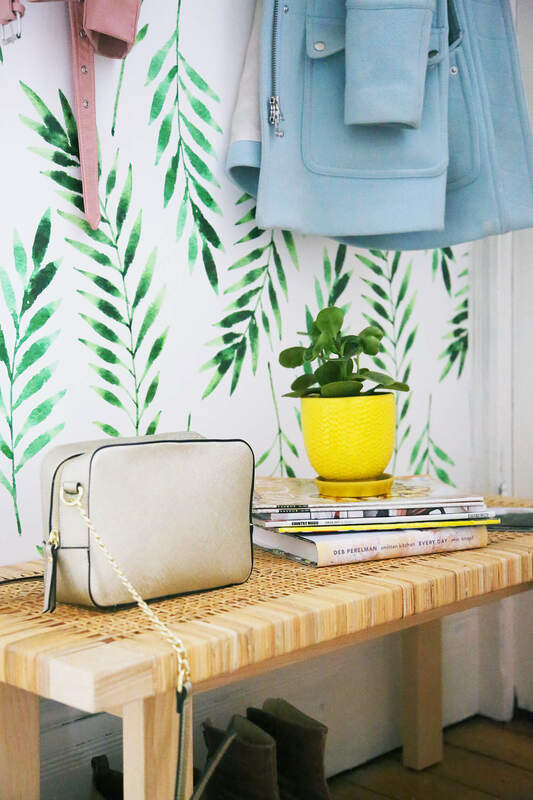 I picked a light and airy wallpaper for the accent wall and created a landing area. I bought this bench, this coat rack, and added baskets. 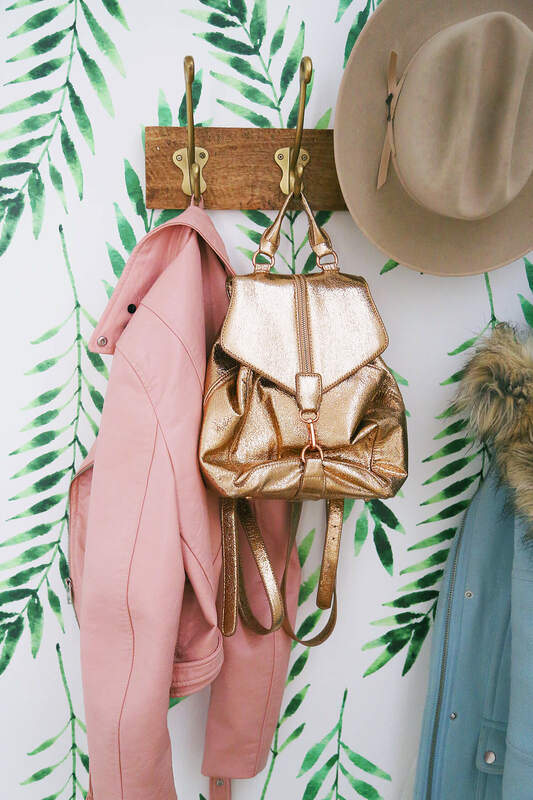 Now we can hang coats, put down our bags, and store shoes. I’m really happy with this upgrade because it so much better looking but it is also so much more functional. I’m glad that the light fixture worked out in the end because it was so important to the design. It also gives off so much more light than the old fixture on top of also being way better looking. Thanks for all the support while I figured out how to install it! The last problem I encountered was the macrame plant hangers did not get delivered on time. This really bothered me because they were the first things I ordered 6 weeks ago. I went back to my original plan of DIYing plant hangers out of twine instead. 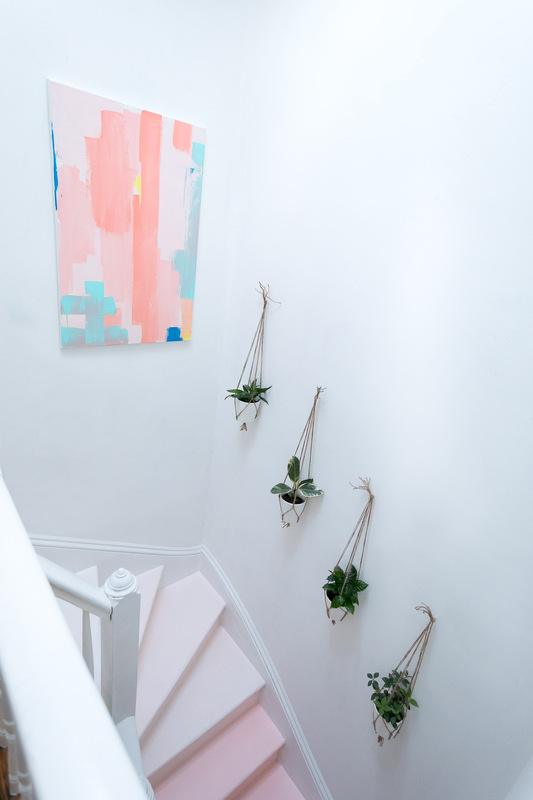 The stairwell wall gets so much light which is why it was important to incorporate plants here. 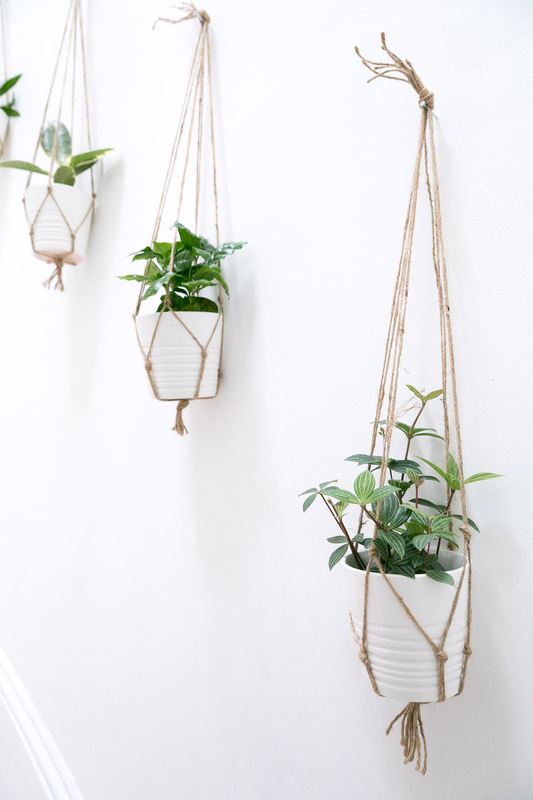 I love how easy the plant hangers were to make and the contrast of the twine against the white wall. I wish I had stuck with that plan instead of causing myself so much stress. In the end, I’m happy with how this wall came out. There are never enough plants. I needed art for the top of the stairwell and Ethan made this abstract painting that came out so good! I’m completely in love with it and so happy that we decided to do that last minute. I could go on and on about how happy I am with the turnout of the One Room Challenge Final Reveal of the Hallway Refresh. I’ve listed all the room sources below as well as links to each week of the One Room Challenge. A huge thank you to the One Room Challenge for letting me be a guest participant, Ethan for putting up with all my craziness and my friend Thaddeus Rombauer (who is an amazing photographer) for helping me photograph the space. 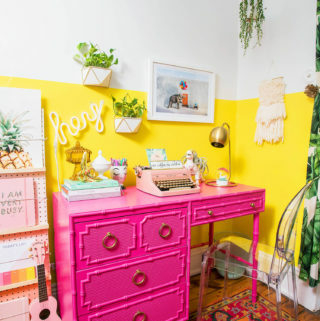 Be sure to head over to the Calling it Home website to check out all the other One Room Challenge guest participants room reveals today and also yesterdays One Room Challenge participants reveals. Thanks for following along on this crazy journey! I hope you enjoyed the way the Hallway Refresh came together. I’d love to hear your thoughts in the comments below. One Room Challenge Week 6 of the Hallway Refresh is going so much better than last week. I’m so happy to be in the home stretch of the challenge and for the stress to be over! Thank God for that extra week or else my Hallway Refresh project would have been a complete flop. Today I’m sharing what’s complete and what needs to be finished before the final reveal shoot on Monday. The wallpaper came last week and I installed it on Sunday. It came out better than expected and I am completely in love with it. 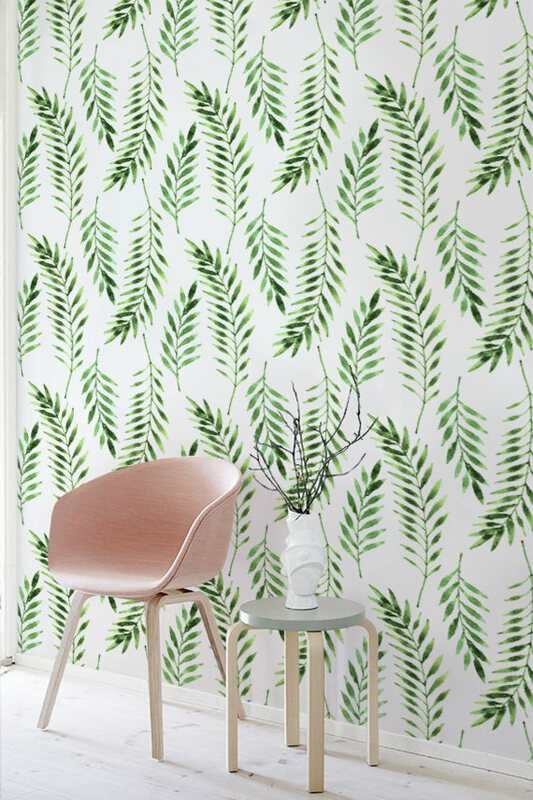 I wanted to go with another tropical/botanical print but was nervous it would clash with the living room wallpaper but it totally doesn’t! It’s neutral enough that it blends between the living room and kitchen. It’s crazy how a simple upgrade can really make an impact and brighten up a space. This is the darkest area of the house and my main goal was to make it feel lighter. I think I’ve accomplished it. 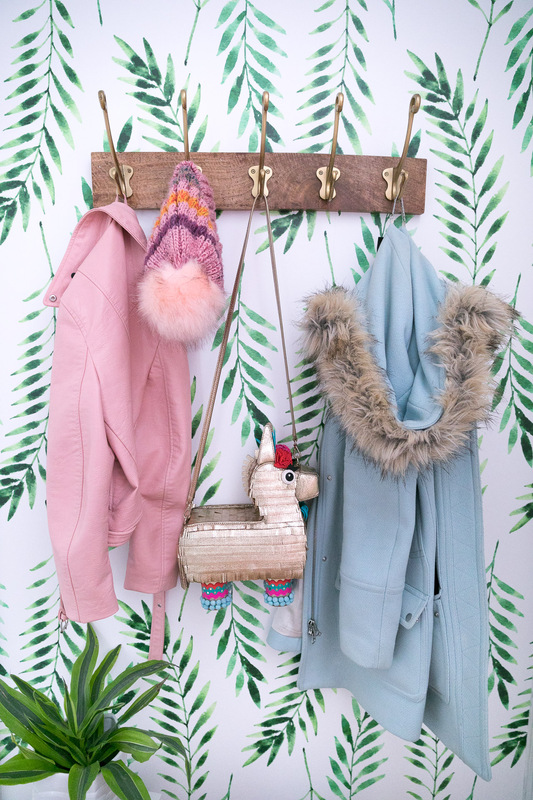 The coat rack was hung on Monday which I thought was going to be the easiest part of finishing that wall but I was wrong. We decided to hang it with anchors but hit a stud while drilling. So, we didn’t need anchors apparently. I’m very happy with how the dark wood and gold stand out on the wallpaper. The chandelier is up and working and an electrician is coming tomorrow to do final repairs. That light has caused me the most stress so I will be happy when that problem is over. 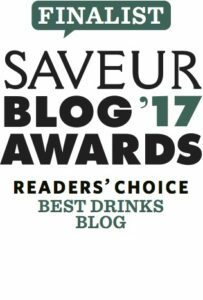 If you didn’t read last weeks nightmare post then you can read it here. The bench is in its forever home. I did really love it in the living room too. 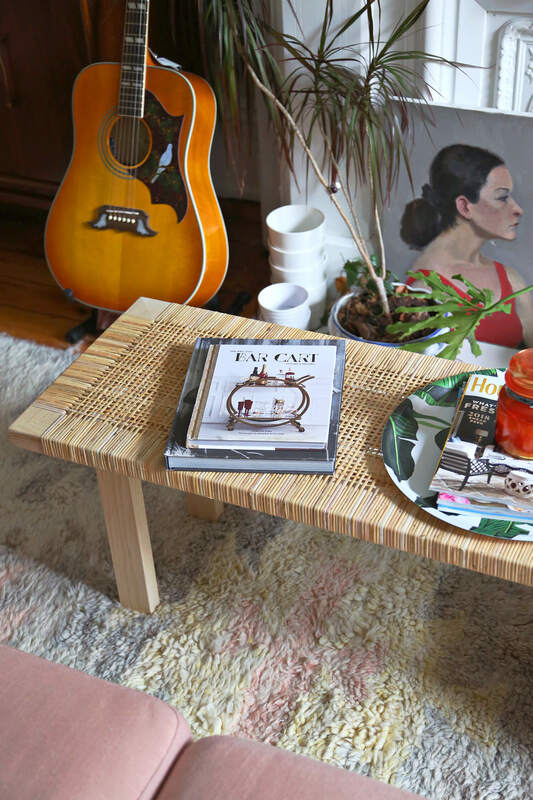 I’m on the hunt for something similar to replace it as a coffee table. Loving how it serves as extra storage plus a landing area. I decided to swap out that jute rug for something less busy. It was clashing with the wallpaper too much and I just wanted something simple. Luckily I had this faux fur rug in my office that I’m using instead. I put the jute rug in there, so no money was lost. Bonus! I do wish Phil was still here to photobomb my One Room Challenge posts. He loved fuzzy rugs too. 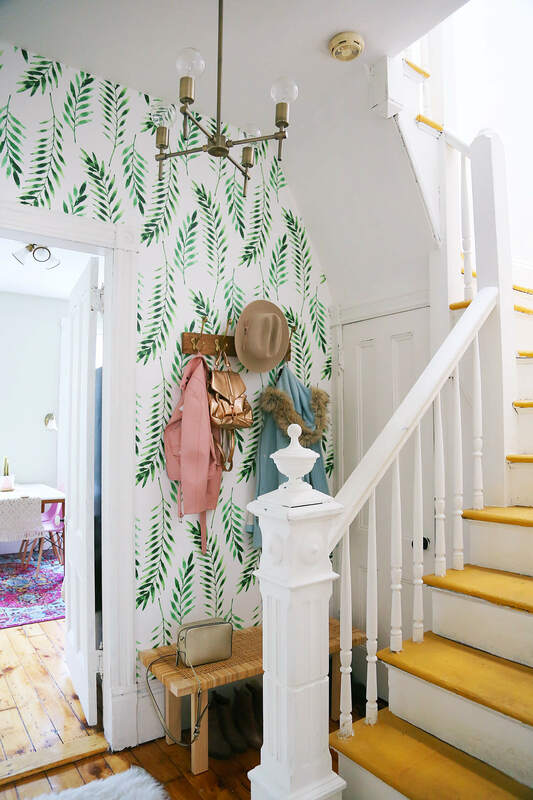 The only big project left to do for the One Room Challenge Week 6 of the Hallway Refresh is the stairs which I will be tackling this weekend. I picked up the paint today and the colors are even better than the swatches. Painting the stairs is going to transform this area into a bright, happy, and colorful place. Is it okay to hang out in the stairwell or is that weird? I picked up some plants today to put inside the macrame for the stairwell wall. The macrame still hasn’t arrived though. I tracked it and it says “in transit to destination” so fingers crossed they come tomorrow. They will only take a few minutes to hang so I’m not that worried. 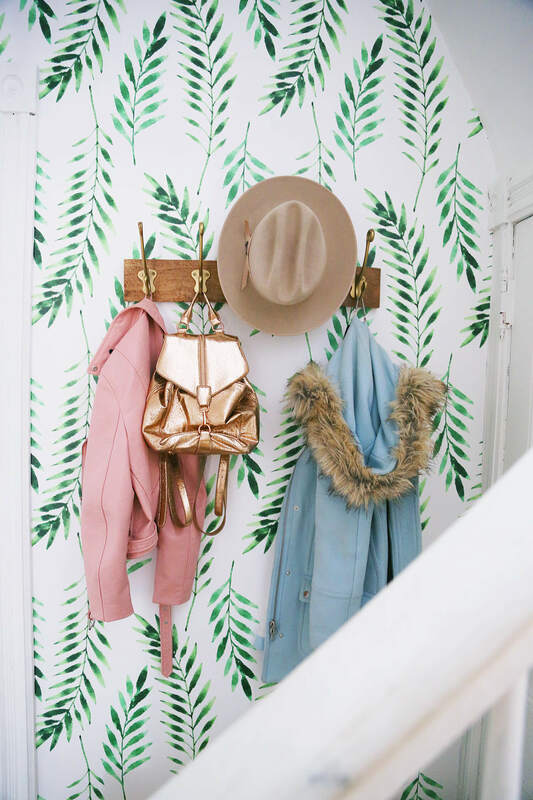 The One Room Challenge Week 6 of the Hallway Refresh has been a success and I can’t wait to show you how everything comes together. Do you guys want the good news or the bad news? I pretty much have all bad news so I’m feeling a bit discouraged. One Room Challenge Week 5 is a lighting nightmare among many other nightmares. My cat Phil who made an appearance on the rug last week suddenly became ill and died over the weekend. I’m absolutely devasted, I’ve been crying for four days straight. Dealing with FedEx sent me into full breakdown mode on Monday. They have been impossible to deal with and also it’s been impossible for them to do their job which is to deliver my packages. UGH. There is some good news before I move on to the lighting nightmare — the wallpaper arrived! I’m going to tackle the wallpaper over the weekend so hopefully, that helps me feel better. Right about now I’m ready to throw in the towel though. Thank GOD they extended the challenge by a week because there is just no way that I would be ready to do a photoshoot for a reveal. I had a friend come by last weekend to help me get the new fixture up but what we found when we took the old fixture down is trouble. 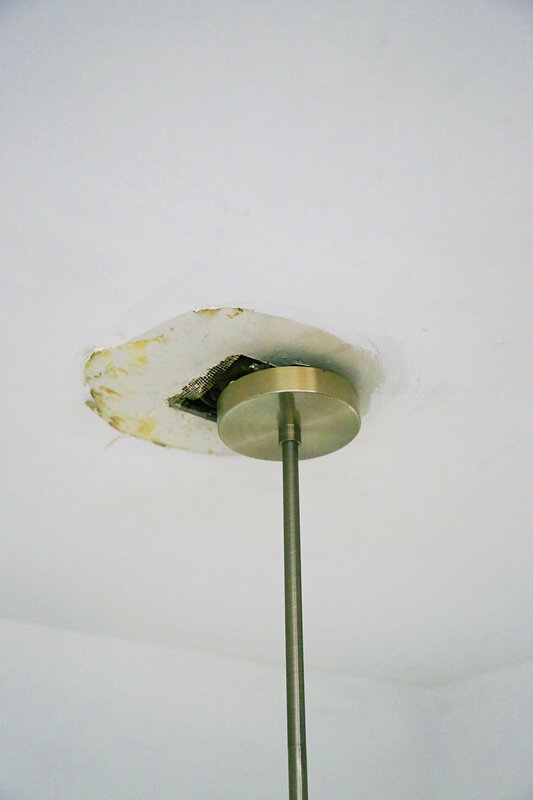 The wiring has not been updated in who knows how long and the hole in the ceiling is larger than the canopy of the fixture. I know what you’re thinking, a ceiling medallion, right? WRONG! 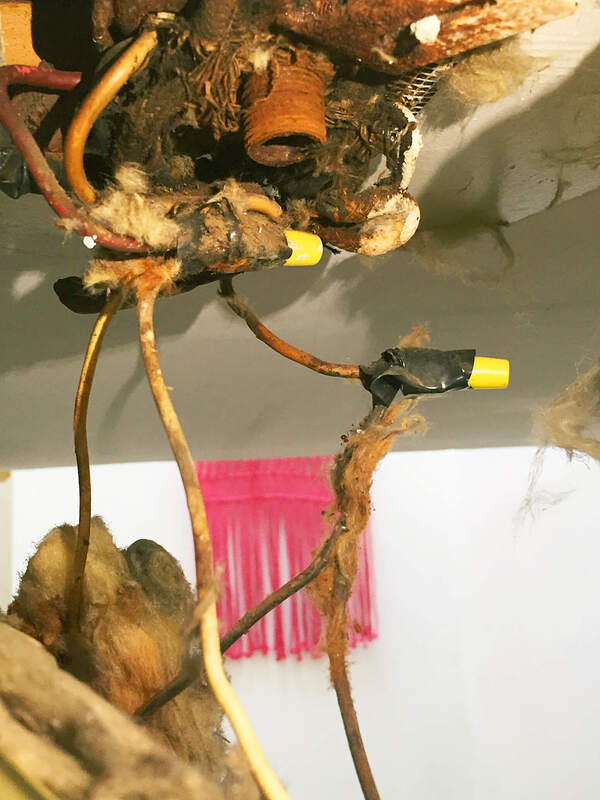 The wires are hanging out lower than the ceiling so we can’t get the fixture flush. It’s been impossible. 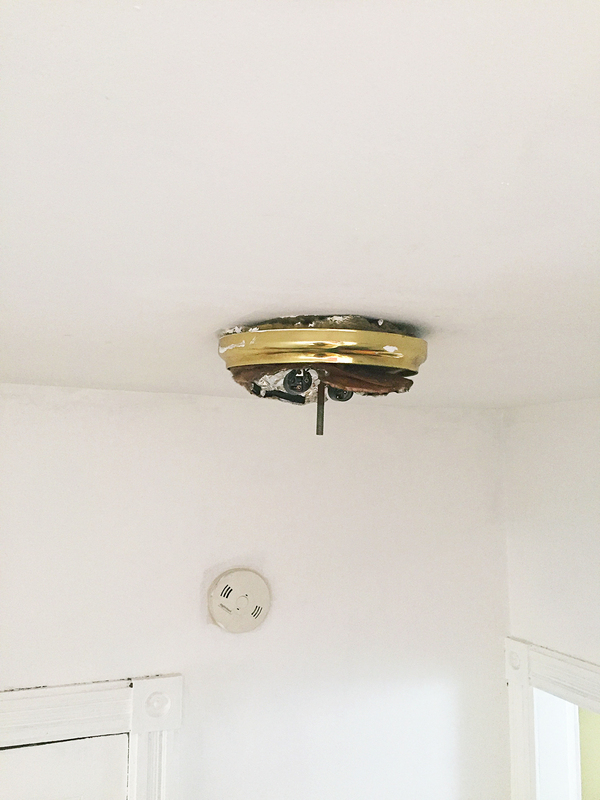 This is the original fixture without the glass bowl over the top. Sorry, I forgot to take that shot. This is what was underneath the fixture. This possibly couldn’t have gone any worse. 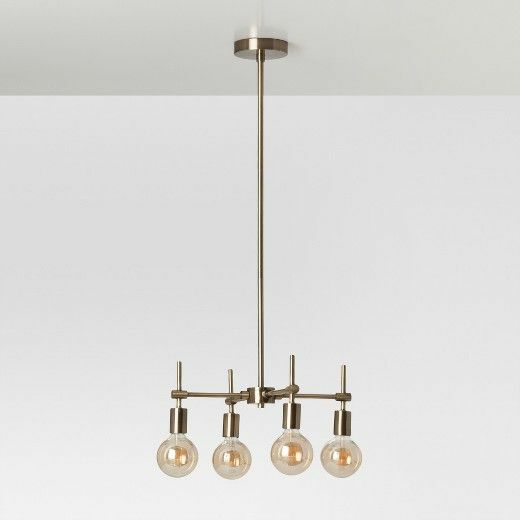 This is the closest we could get the fixture to the ceiling and we ordered a medallion that we thought would cover the difference but it didn’t work. This was not a DIY project. Changing light fixtures is easy when the electric is modern but we have no idea what the hell to do. I made an appointment with an electrician on Saturday afternoon. Fingers crossed he can figure something out. If we can’t come up with a way to make this fixture work then we’re going to have to put the old fixture back up. That is disappointing to me because I really loved the new fixture and it completely transforms the way the hallway looks. 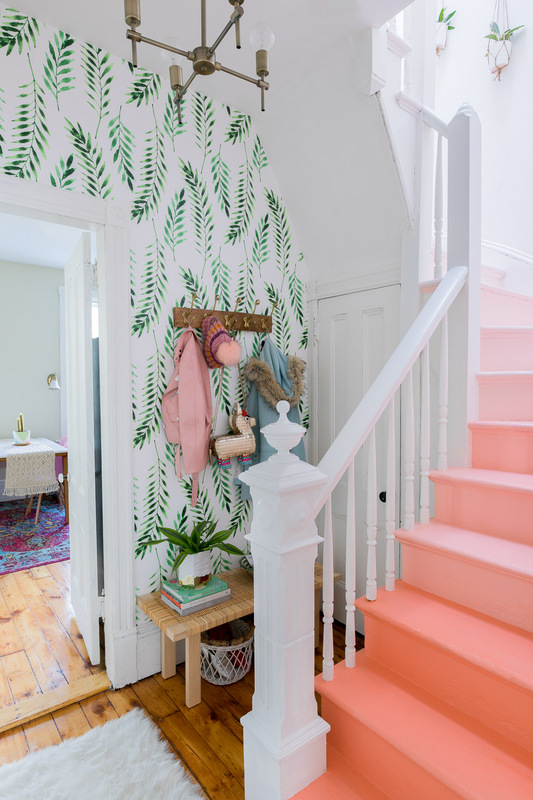 The wallpaper will look great but there isn’t a ton to do with the hallway so losing one of the main focuses of the design plan makes the end result less impactful. I also can’t return the fixture because I put it together and threw away the box. I had no idea that something this awful was going to happen. There is not a whole lot to report. Week 4 of the One Room Challenge Hallway Refresh has been pretty slow because I’ve been waiting for the all the items to arrive. I unpacked everything that came last night. As you can see Phil my cat has already claimed the rug. The wallpaper shipped and the shop assured me it would be here on time. It’s coming from overseas so I’m still a little nervous about the timeline. Luckily that email the participants got yesterday was a sigh of relief. They extended the One Room Challenge by a week to compensate for all the disasters that have happened recently. Final reveal will be Thursday, November 16th. This week I received the rug, chandelier and coat hooks. I also put the bench together that I bought at IKEA last week. Well, Ethan really put the bench together ;). We are currently using it as a coffee table in the living room and I love it. It’s possible that I might buy another. 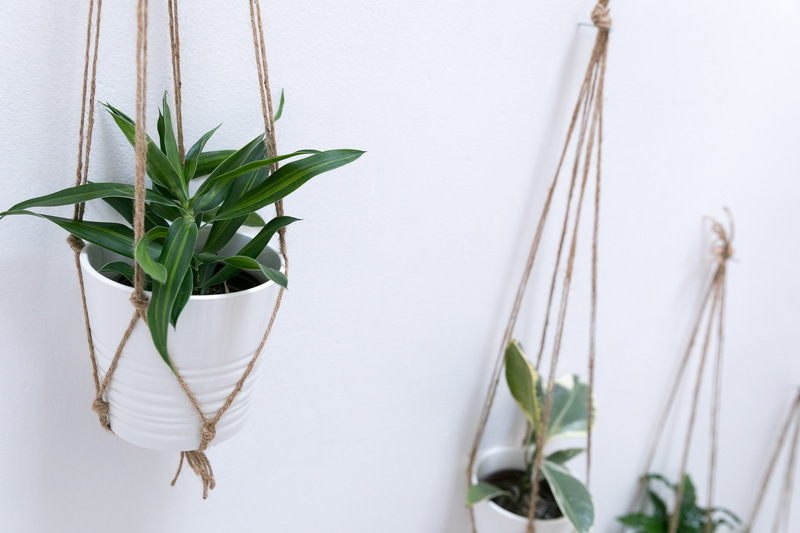 The original plan was to do the DIY Plant Wall but the macrame plant holders haven’t come yet. Hopefully, they will arrive next week so I can get that done. It will be a fairly easy project and I get to take a trip to my favorite place — the plant store! Once the wallpaper gets here I can install, hang the hooks, and put the bench in its proper home. Next week I’m concentrating on installing the light fixture. I wanted to save the stairs for last but I may have to get that done before the wallpaper depending on when it arrives. Stay tuned to see how the Hallway Refresh unfolds! One Room Challenge Week 3 is upon us and things are speeding along. The Hallway Refresh has progressed a little bit and almost everything has been ordered but I’m still waiting to receive the items. Luckily there isn’t a ton to do once all the items get here (except the stairs and wallpaper). 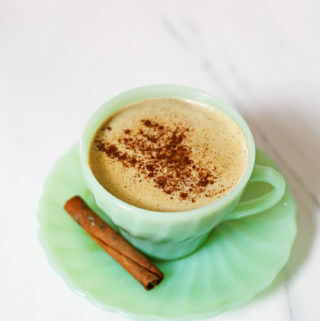 I’m going to update you on some changes I am making to the plan and what I put on order. Plus I picked out the colors for the stairs. Yay! The bench from Ikea that I originally decided on was unavailable. I found a great substitute that is a little bit more compact and way more stylish. I actually like it better. Everything happens for a reason, right? The bench is actually a coffee table, but I saw it styled at the foot of a bed and seating for a dining room table as well. It’s going to work great as a landing space for my purse and a home for shoes underneath. A cat will probably enjoy some naps on it as well. 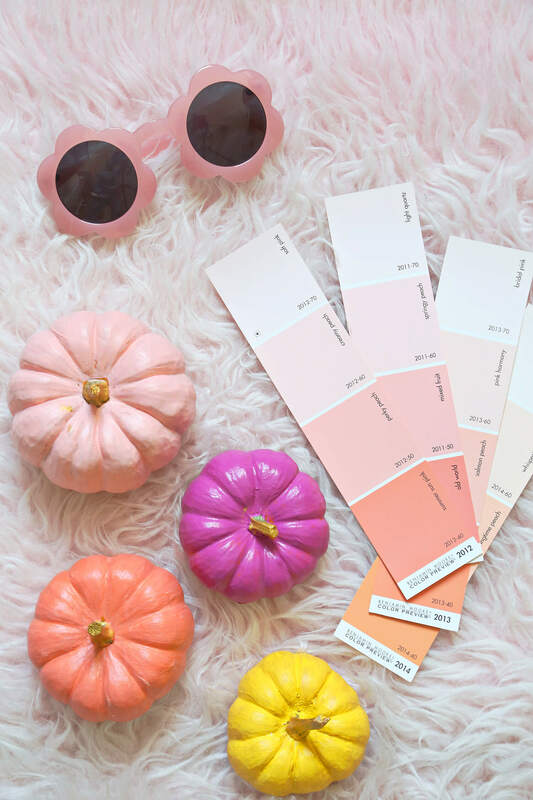 I’m starting with a very soft pink at the top of the stairs and fading it into a dark coral that I will be painting in groups of 3 of each color. 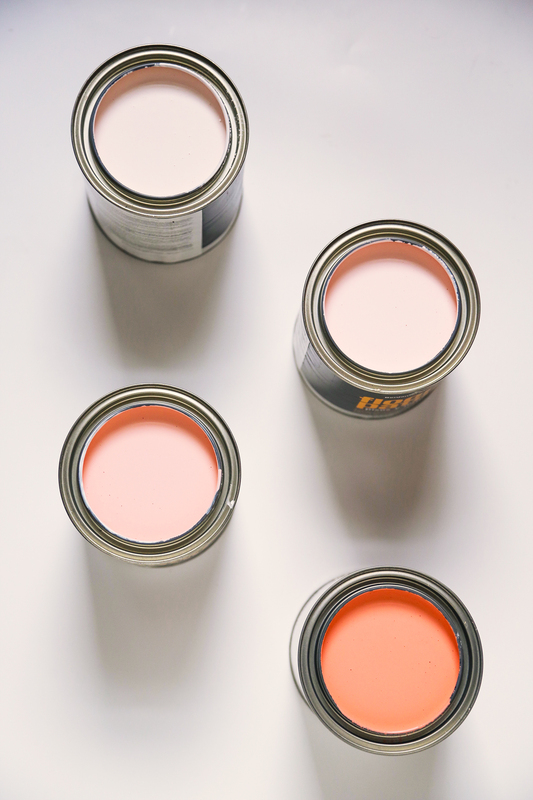 I chose paints by Benjamin Moore in Soft Pink, Creamy Peach, Perky Peach, and Summer Sun Pink. The stairs are going to be so happy to look at, I can’t wait for this to come together! I had to order the wallpaper in a custom size so I contacted the shop. Hopefully, I hear back soon so I can place that order. I went ahead and ordered the hook rack, ceiling light, macrame plant hangers, and a rug. 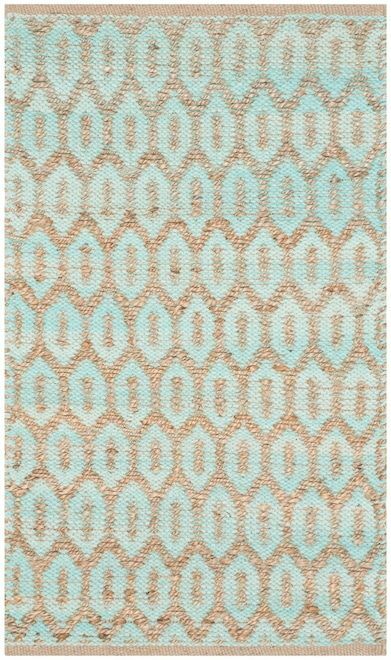 Also, I had to change the rug because the size I needed wasn’t available, but I found this one that is 2’3″ x 3’9″ which I think should work perfectly. We’re in the middle of the One Room Challenge with 3 more weeks to go. I’m looking forward to seeing how it all turns out and finishing another space in my home. Full speed ahead! Check out my One Room Challenge Hallway Refresh board on Pinterest to stay up to date with my ideas and items. Hi everyone! 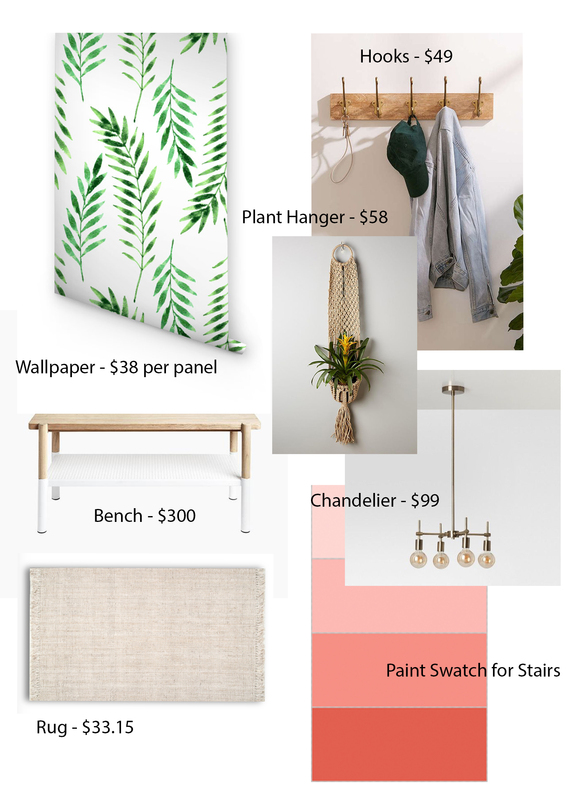 This week I’m sharing the Design Plan + Budget for the Hallway Refresh. 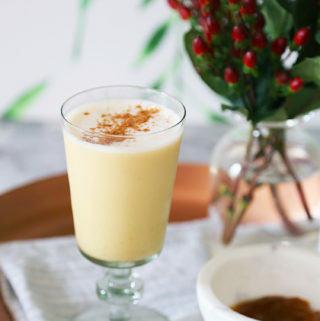 I feel guilty for not being able to post a cocktail since my One Room Challenge post from last week but there are plenty of delicious things on the way. 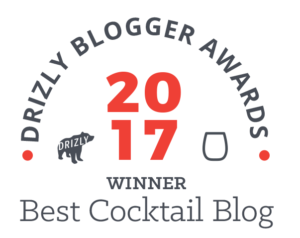 Plus, did you notice the refresh my site got? The hallway isn’t the only thing getting upgrades around here! I’m updating you on my progress for the One Room Challenge which I will be doing for the next six weeks. 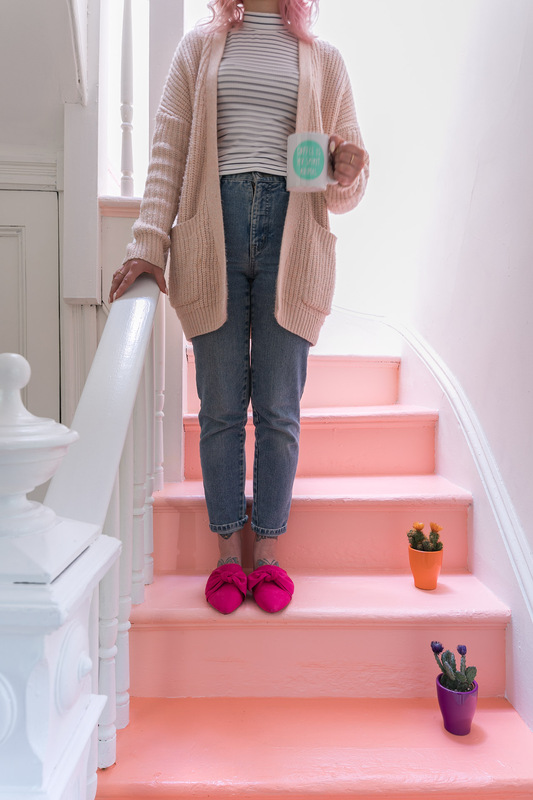 I hope you will join me in my efforts to stay motivated in finishing up the decor in my home. I’m making final decisions on wallpaper and decor so that I can get the ordering process started. My one regret from the Spring One Room Challenge was that we ordered late and it caused me a lot of stress. I wasn’t sure if I was going to get everything in time and the wallpaper arrived two days before the final shoot. That means I had one day to get it installed and style the whole room. I almost had a breakdown but I pulled through and got it done. Thankfully there isn’t a ton to order but the stairs are going to be the most time-consuming thing which will be my last project before the reveal. 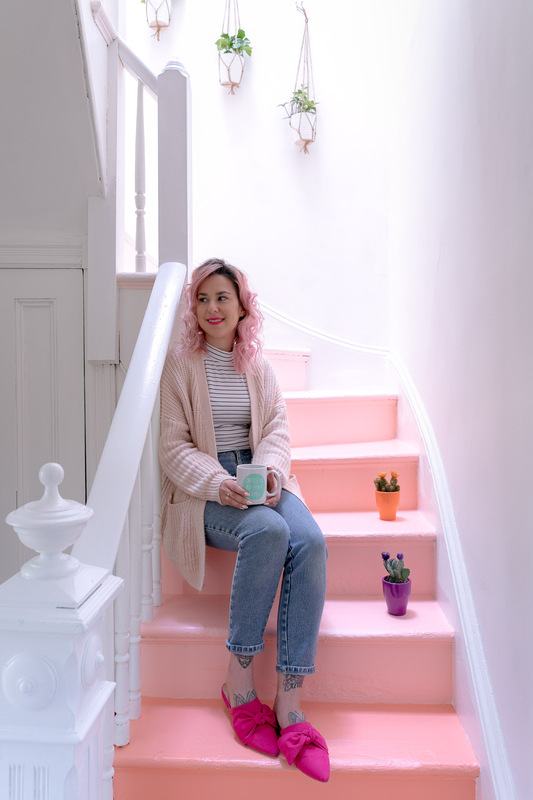 I want those stairs to look super fresh for the photos. The wallpaper was the hardest decision to make for the final design plan. 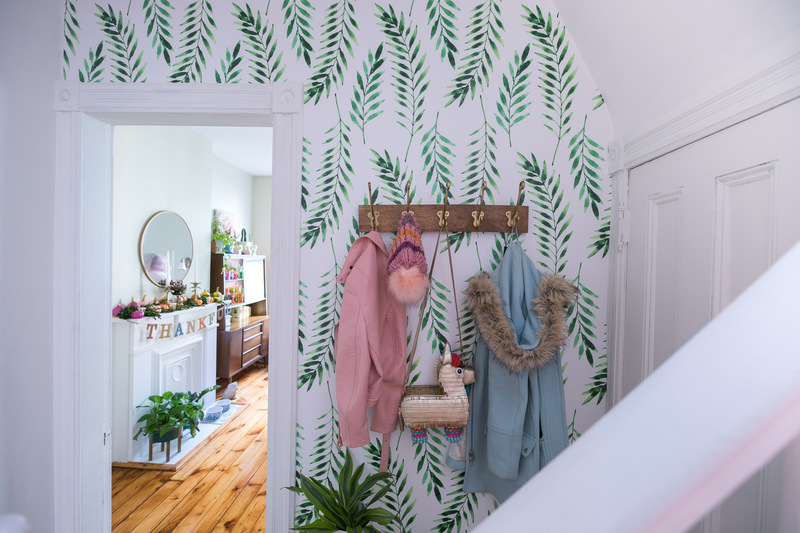 At first, I wanted to do something geometric so that the wallpaper in the hallway didn’t compete with the wallpaper in the living room. Who am I kidding though? 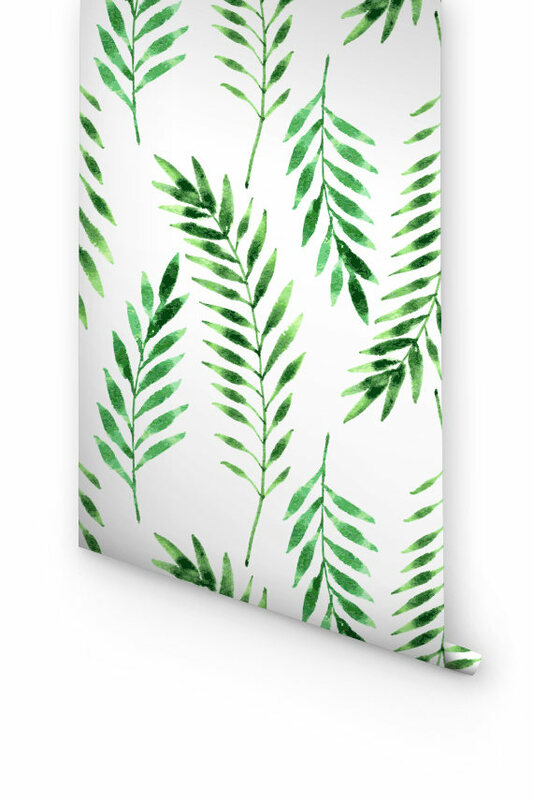 I couldn’t stay away from a tropical/botanical print and I have landed on this one from Boho Walls on Etsy. 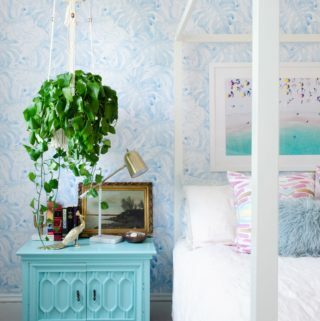 It is neutral with still adding a pop of color and some much-needed fun to this space. The other hardest decision I had to make was what color to paint the stairs. Originally I wanted to go a dark teal because I thought it was bright enough to be colorful but dark enough to hide dirt. In the end, I didn’t think this color went with the rest of the house though. 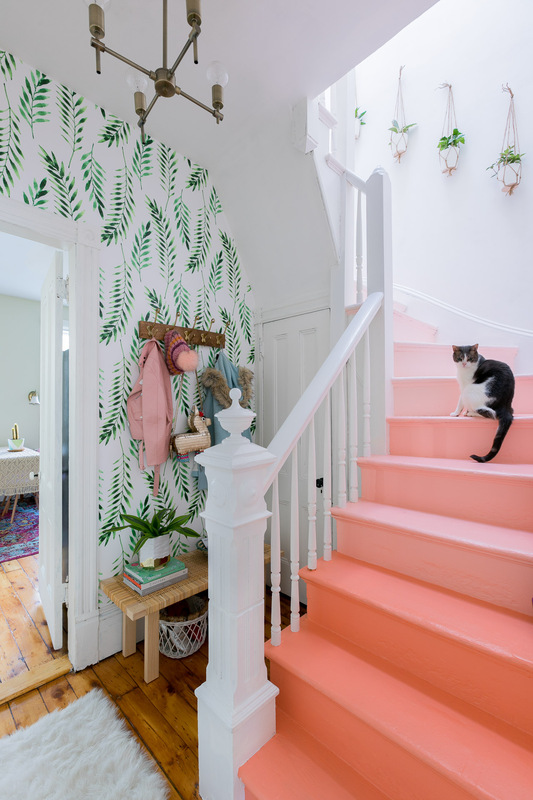 There are a lot of neutral tones in this house with touches of pink and a lot of green from the plants. 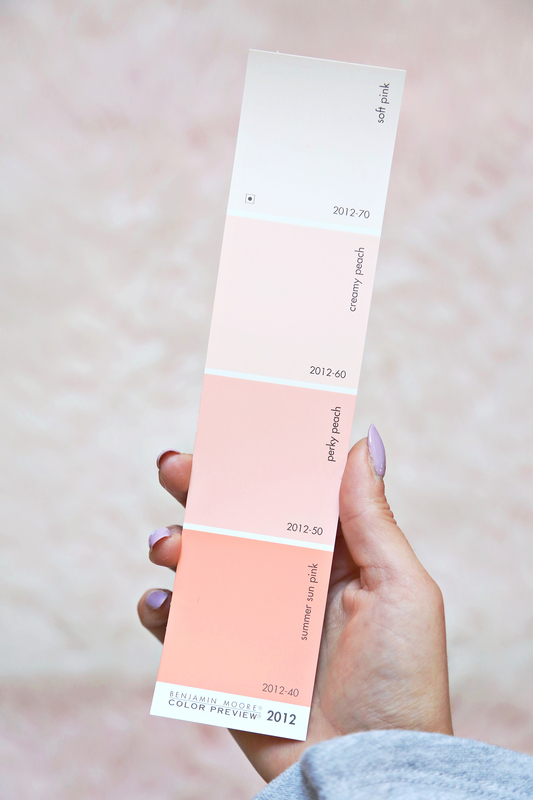 I wanted to stay within these colors because I want the overall feel of the house to be cohesive. So what color did I land on for the stairs? Pink of course! I know it isn’t the most practical because pink won’t hide dirt. 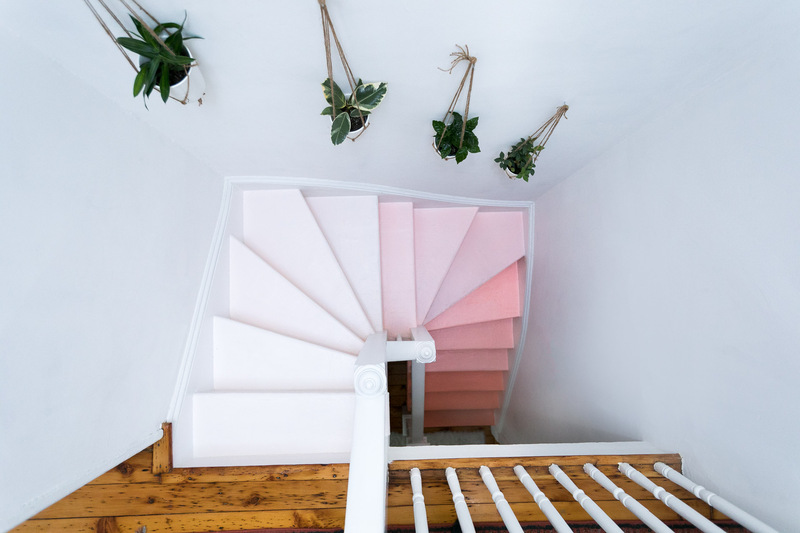 I’m going to paint each stair a solid color instead of just each riser. It will be easier and the tops won’t be white at least. 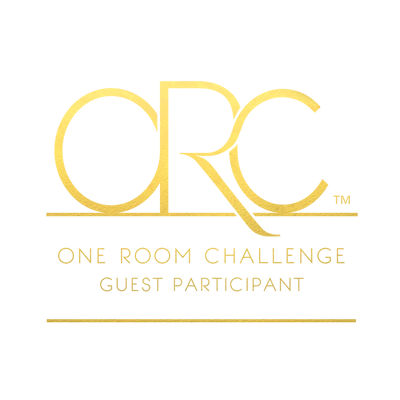 The paint that is on the stairs now is matte which was a bad choice because they’re really hard to get the dirt off of. I’m going to go with a semi-gloss or high gloss so that they’re easier to clean. 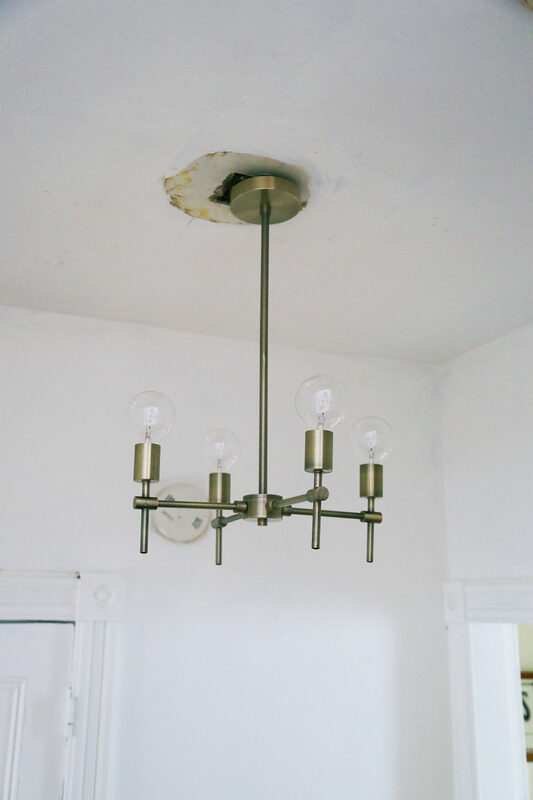 The light fixture definitely needs to be changed and I found one from Target that I love that doesn’t break the bank. All the products from the Project 62 line are amazing. It’s hard not to want everything! The bench I picked out is from Umbra but I’m not sold on it. I love the style but I think I could find something that’s more affordable so I’m going to keep my eyes peeled at HomeGoods. 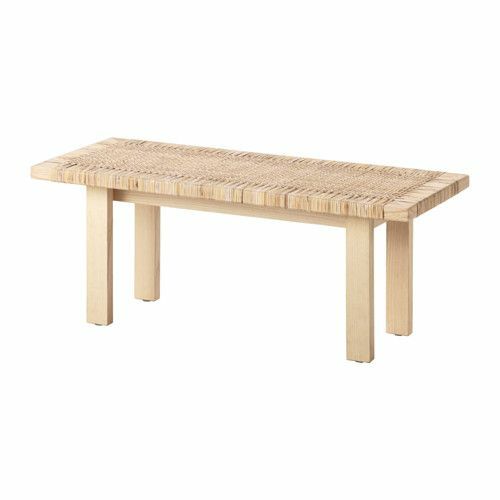 I could also get this one from IKEA for $39.99 and paint half of it white so that it looks like the Umbra bench or I really like this one as well. Both are great and a fraction of the price. 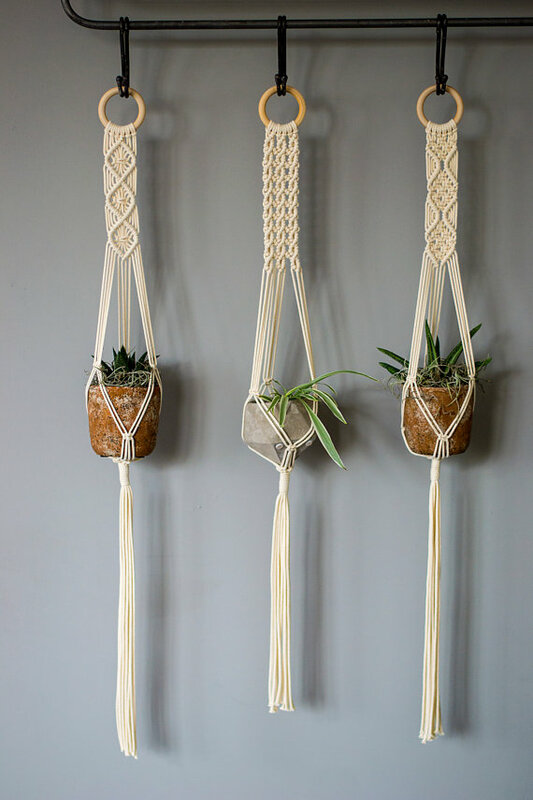 Same thing goes for the macrame plant hangers. I LOVE the ones from Anthro but if I need 3 or 4 at $58 the price adds up pretty quickly. 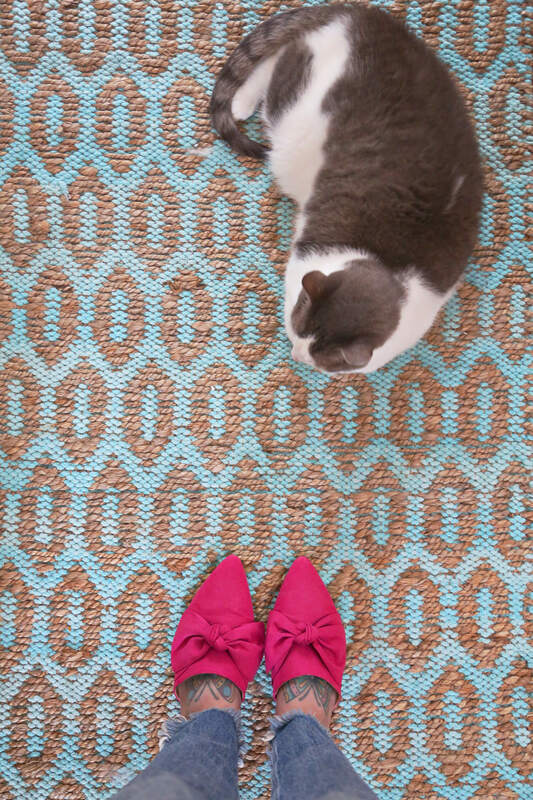 I was thinking of doing this simple DIY one or I’ve found a ton of affordable options on Etsy. 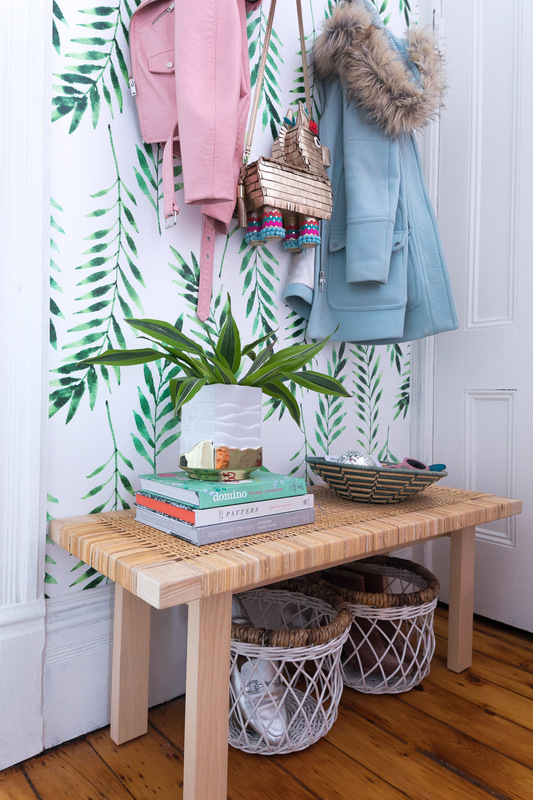 Head to my Hallway Refresh Pinterest board to see them all. Way too many to link to! Here are the budget and order list. I can knock a few hundred dollars off if I decide to DIY the bench for $39.99 or buy the other one for $69.99. I can also make my own plant hangers or get affordable options from Etsy to save an additional $100 or so. That would bring my budget down $350 or more. Originally I only wanted to spend $5oo on this project and currently, I’m over budget so I think I may go with these two ideas. Doing this would knock off about $483 which means I’d come in under my budget!! Maybe I can get a piece of art framed for the top up the stairs with my savings? Stay tuned to find out! All items in the design plan linked below.